Update: This place closed in 2010, it is now home to Jenny Grinder from the State Fair. Do not eat the tenderloin. The wavy Tenderloin sign on the side of this take-out stand lets you know a serious sandwich lies inside. Location: 3765 E Hubbell Ave. Des Moines. Postscript: This sandwich bothered me later in the day. I think its the huge amount of salt poured on the large surface area. My metabolism slowed down more than it does after most fried foods. This made me rethink my policy of always eating the largest thing on the menu at these places. Price: $6.65, also comes in regular size at $5.50. Ambiance: There are picnic tables on the pavement in front of the stand, but its only worthwhile if the weather is nice. Service: The front window has been closed for years, now you either drive your car to one side or walk into the cluttered front area to give your order. Your sandwich is walked out to you at your car in about ten minutes. Also on the Menu: Guinea Grinder sandwiches made of Italian Sausage, Cheese, and Peppers. Onion Rings, Chili Dogs. Closing Comments: This place is good for takeouts. I take my sandwich back to my office to eat it. The Guinea Grinder is another special sandwich. Next time I will get the regular size Tenderloin. Plus they have a discount card so your 8th sandwich is free. 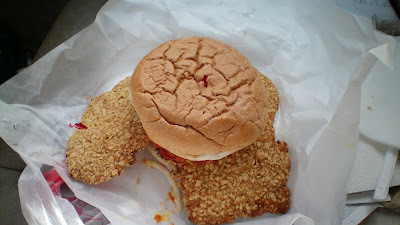 I grew up in Des Moines and Milly's drive in was the best tenderloin in town. I now live in Florida and I'm going back to Des Moines In October. I want to experience the best Iowa has to offer me now. What is the best place to try? Millies closed over 20 years ago but people still mention it to me often. Hank and Sharon's closed just this year. If I were visiting I would check out the Des Moines and Central Iowa top 5 lists on the right hand column of the blog, and check the map to see which is closest to where you will be going. goldies in prairie city; just east of des moines on 163 (university). 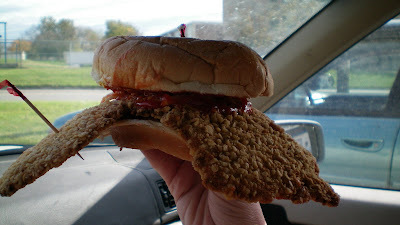 Was voted best tenderloin in iowa. STILL NOT AS GOOD AS MILLIES WAS!!!! Millie's was the place to go after "scooping" the loop in downtown or to meet with friends before. I too can still taste the great Millies Tenderloins. I believe They used ground corn meal in their breading. Smittys on Fleur Drive out by the Airport is reputed to have a pretty good tenderloin on a bun. Though I have been away from Des Moines since 1965, I still haven't forgotten Millies version, which was by far the best ever. I dont live in DM anymore either, but my family does. Im here now because my cousin in Tucson is going back to DM for her class reunion and wants something LIKE a Millies tenderloin. I wonder if Millie ever realized what a legend she was. 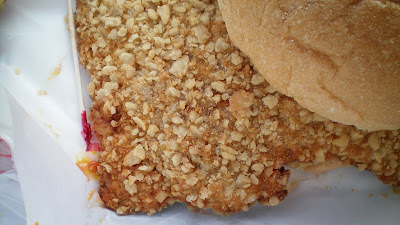 I dont like this crispy grainy type tenderloin. Making a super large tenderloin does not make you a legend. Millies was a batter breading. Why doesnt anyone in DM realize this untapped money source ? 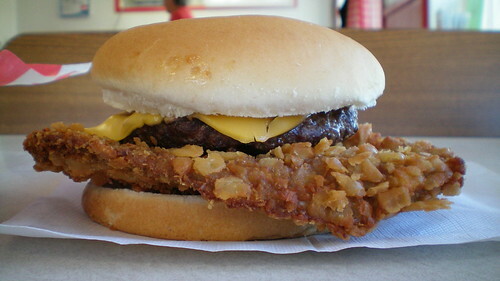 I mean people in Arizona..want to have a Millies tenderloin. Millies started out on a cliff overlooking the dump by the river..where the PO is now. Then moved over to University by the junk yard. yell at us over the loud speaker to GET BACK IN YOUR CARS. Of course, we didnt realize she was libel for us, if we got hurt...til years later. As a teen in the mid-to-late 50's, THE ONLY drive-in to eat at was Millie's Drive-In on 2nd Ave at University over-looking the dump. I've looked ever since for another restaurant/drive-in that could MAYBE come close to that tenderloin sandwich. Hasn't happened yet and very likely never will. For 50cents you got the tenderloin/french fries/coke that was a meal. I truly miss those days and would love to live them once again. On occasion I've found some chicken fried steaks that sorta come close to being nearly as good, but not quite. I was a carhop at Millie's Drive-In. No one was allowed to give out their real names all were assigned a number I was number 11. I worked their from 1966 to July of 1973. I miss the music, Millie had pillars on the building with lights you felt the music in the night air made you feel like you were in Las Vegas. She was an evisionary ahead of her time. She was hard on me, that was because she loved us like we were her kids. I miss not only the tenderloins but the atmosphere. The woman, behind it all. I really regret that there isn't more information about Millie's. I was very excited to find this page to see that there were still some that remember those days as well. The tenderloin was the biggest, the best.. and I have traveled widely. No replicating simply THE LEGEND. Hi Anonymous, I'm Ron, Millies Grandson. 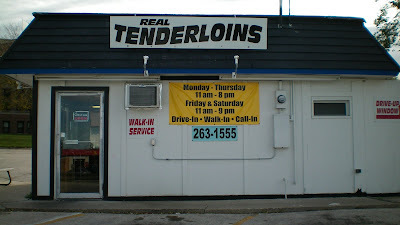 I sure miss those tenderloins, especially the chili loins but even more so my Grandmother. I was very fortunate to have had her as my Grandmother, she was one of a kind, the very best. When I was a teen I could tell who was on duty when I pulled in, if the juke box played Rock & Roll, Grandma was there and in her office, if it were Country my Aunt Margie was on duty. Many great memories! Cheers! Ron can you tell me when Millie's closed. 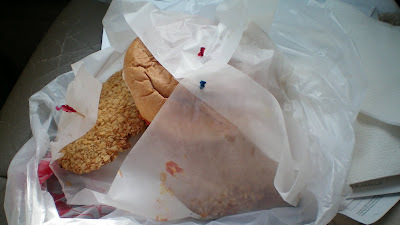 Something all the "pretenders" can't match that Millie's had, is the oversized bun, specially made by Colonial Bakery. Large tenderloins aren't the same with those little small buns! I looked this up cause my husband's grandmother worked there as a hop and a cook and he talks about the Pork Tenderloin all the time and how he would love to have another one. I'm trying to find a recipe close to Miles and surprise him with that. Has anyone found a recipes that was close?